The SEMA Launch Pad premier automotive entrepreneur business competition is entering its sixth year. Since its inception in 2013, the program has seen more than 250 applicants, 35 finalists and five winners. This year’s selected finalists will pitch their automotive aftermarket products or services at the 2018 SEMA Show in Las Vegas to a panel of iconic industry judges who will decide the winner. This year’s grand-prize package includes a $10,000 award to be used for the benefit of the winner’s business, a turnkey exhibit space at the 2019 SEMA Show, multiple marketing and exposure packages and more. The judges play an instrumental role in the competition, as they will quite literally help to change the life of a young entrepreneur. Voting to determine the 2018 top-10 finalists closes September 6—be sure to submit your vote for your favorite contestants. 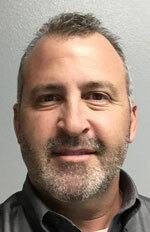 Greg Adler is executive vice chairman of Transamerican Auto Parts, which includes 4Wheel Parts retail stores, wholesale and internet, and manufacturing operations of Pro-Comp, Smittybilt, Rubicon Express and Poison Spyder. He has grown up in the truck and Jeep industry with more than 25 years at the company in various roles, including 13 years as CEO. Adler’s other office is behind the steering wheel of various off-road race machines as a competitor in short-course, desert and rock-crawling races. Ron Coleman is the president of COMP Performance Group, which includes COMP Cams, FAST, TCI and RHS. He is a former SEMA Chairman of the Board and a member of the SEMA Hall of Fame. Coleman has a long history of starting or operating businesses and helping guide others in theirs. He has the distinction of being involved in more businesses in our industry than any other single individual. Most recently, he was inducted into the Society of Entrepreneurs, and the Memphis Business Journal named COMP Cams the 2018 Best Business of the Year in the large category. World-champion drifter and professional fun-haver, Vaughn Gittin Jr. is best known for his aggressive, foot-to-the-floor, big-smoke driving style from behind the wheel of arguably the most recognizable cars in the sport: the ’18 Monster Energy Nitto Tire Ford Mustang RTR Spec 5-D. Gittin Jr. won his first Formula Drift title in 2010 and was awarded the Ace Driver of the Decade title in 2013. He races in Ultra4 off-road, has competed in Trans AM and NASCAR Canada. He has also been featured multiple times on popular television programs. In 2010, he launched Mustang RTR, his vision for a new generation of Mustang that is available at select Ford dealerships worldwide. Wade Kawasaki is the president and chief operating officer of the Coker Group. In his executive role, Kawasaki oversees the 12 Coker Group brands and six operating companies. He is based out of the Coker Group’s corporate headquarters in Chattanooga, Tennessee, and also has an office in Coker’s West Coast headquarters in City of Industry, California. In addition to his role at the Coker Group, Kawasaki is the owner and president of Exports International, and the current SEMA Chairman of the Board, where he leads the Board of Directors in making important decisions to benefit the $41-billion automotive aftermarket. Sean P. Holman is a longtime automotive enthusiast and journalist who has been with the Motor Trend Group since 2003, holding editorial staff positions at Truckin’, Truckin’s SUV and Four Wheeler, eventually taking on the editor positions at 4x4 Garage – JK Edition and Diesel Power. Holman’s current title is content director for Motor Trend Group’s Truck & Off-Road Group, which includes the Truck Trend and Four Wheeler networks. He is also the co-creator and co-host of the truck enthusiast podcast, The Truck Show Podcast With Lightning & Holman. When he is not busy chasing down all things truck, Holman can be found enjoying life with his wife and two daughters, working on his ’67 Ford F-100 project truck or out on the trail with either his modified Jeep Wrangler or mountain bike. The SEMA Launch Pad live competition will take place Monday, October 29, in the Westgate Las Vegas Resort & Casino Theater. The program has partnered with the SEMA Education student program, which brings hundreds of automotive-driven high school students to Las Vegas to experience the SEMA Show, network with industry professionals and discover all the industry has to offer. The students will kick off their week by attending the live event. Visit the SEMA Launch Pad website to learn all about the competition.